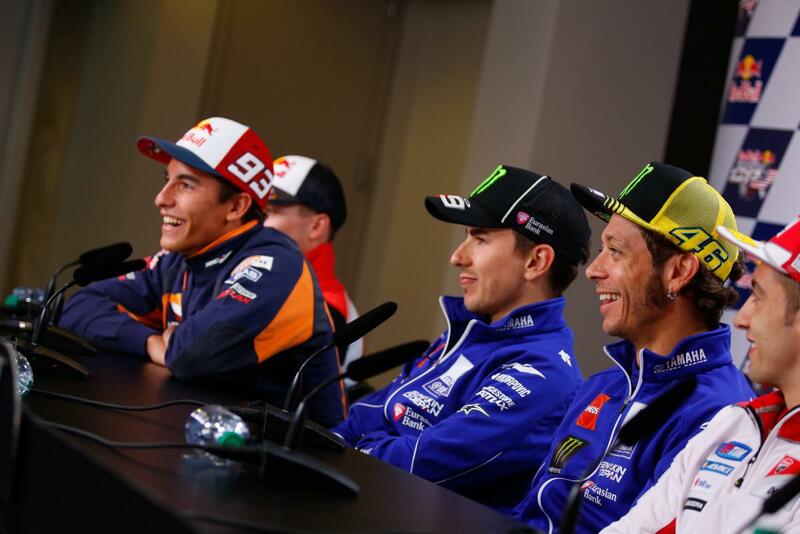 It is halfway through the 2015 MotoGP season, and it has so far been a season of upsets and surprises. What with Valentino Rossi pulling away in the championship, the factory Ducati team being regularly on the podium and Marc Marquez all the way down in fourth position, it has been an interesting season to say the least. The biggest upset, thus far, has been the uncharacteristic dip in performance of the Repsol Honda team. Riddled with problems, ranging from injuries, to difficulties with the bike set-up, questions will be begged of Marquez’s form after the dismal start of the 2015 season. Consolation lies in the recently completed mid-season testing, which bore more fruit with the introduction, and testing of the 2016 RC213V. 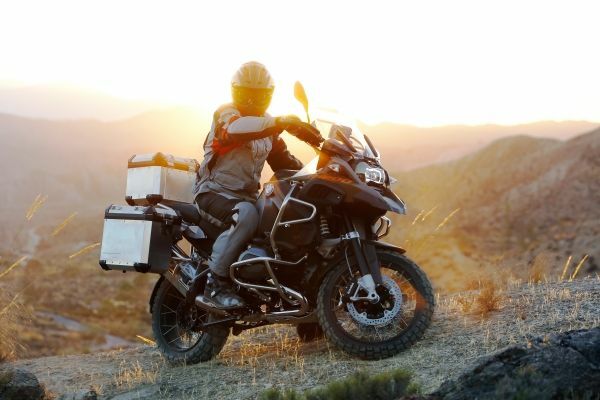 According to Marquez, the new hardware does have a few good qualities. “I tried the 2016 prototype finding something good, but we will test it again with next year’s tyres and see how it comes along.” The young Spaniard said. Still, the bike would have to be phenomenal to get the Repsol Honda team back to their winning shape. Marquez has only won two races thus far and could not complete another three due to crashes. Marquez argues that the chassis of the 2015 bike has been his Achilles heel. He expressed that the chassis has been accurate, but not forgiving, making his three crashes so far weigh a lot more than necessary. Marquez’s podiums at Assen (second) and Sachsenring (first) can be credited to the Honda’s 2014 chassis paired with the 2015 motor. Whether the results of this particular pairing will continue after the mid-season break, only time will tell. The biggest surprise of the season thus far, has been the Factory Ducati team of Andrea Ianonne and Andrea Dovizioso on the GP-15 Desmosedicci Ducati. The Ducati GP bikes carry a good reputation for their straight line pace, but have often fallen shy of keeping up with Yamaha and Honda in the turns and on tight circuits. Yet Qatar proved otherwise. The Ducati’s hounded the backs of the Yamahas for the majority of the race. This led one of the greater battles of the season between Dovizioso and Rossi in the final stages of the race, with daring overtakes at ludicrous speeds. The eventual result saw Rossi finishing in first, Dovizioso in second and Ianonne in third. As well as being a great return to form from Ducati, it was also the first all Italian podium in a long time. The second race of the season, held at Austin in the USA, gave some hope to the Marquez marquee especially after his poor opening performance, as he finished on the top step of the podium. Although the win meant points for the Honda team, they were not given a fighting chance in the championship after Danni Pedrosa had to sit out due to an arm injury for which he had to receive surgery. 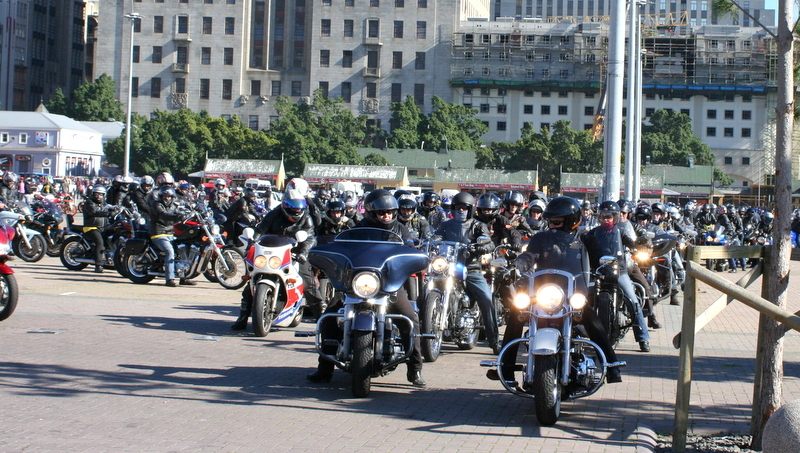 The next race, held in Argentina, was the beginning of the troublesome time that lay ahead for the 2014 champion. After leading for the majority of the race, Marquez was unable to keep up enough pace to fight off a rampant Rossi, who had fought his way up from eighth position. A poor choice in tyres was the cause for a vast drop in pace from the Spaniard who pushed to keep up to the Doctor. The extra hard option that Rossi chose over Marquez’s hard option proved to be the better strategy as Marquez’s drop in pace eventually led to Rossi making the pass on the penultimate lap. Losing the top spot to Rossi was not the only mistake made by Marquez as he launched a move to overtake the Italian when he clipped the back wheel of the Yamaha and had his first (and not last) crash of the season. The first Spanish leg of the season saw a new winner in the form of Jorge Lorenzo, who in the opening three races had not even had a podium finish. It was here in Jerez that he began a winning streak that lasted four races, including Le Mans, Mugello and the Catalunya GPs’. 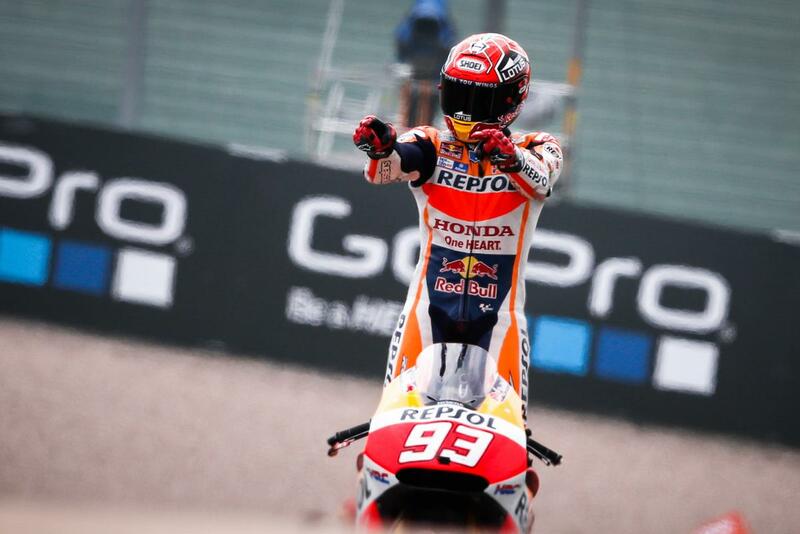 The Spaniard has also produced an impressive figure, 103 consecutive laps spent in the lead, a new MotoGP record. The streak also bumped him up to second place in the championship on the heels of his teammate, Rossi. 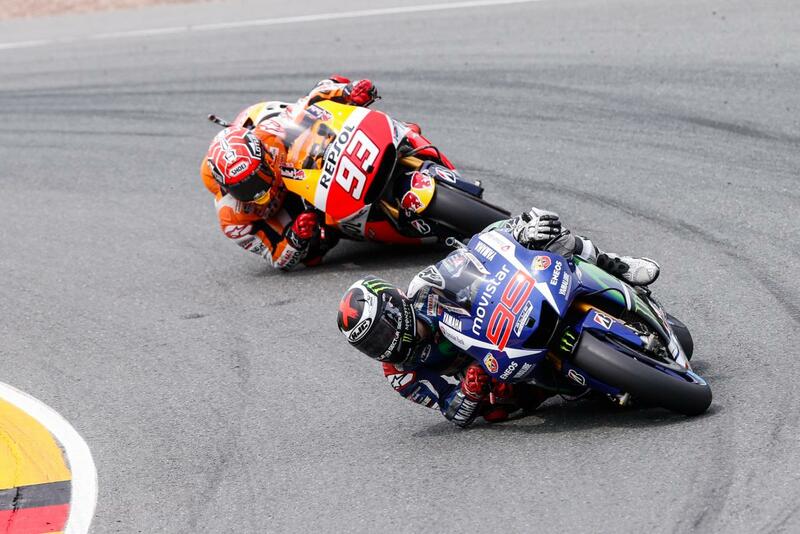 As Lorenzo’s winning streak continued, Marquez’s streak of poor results did too. He finished in second place at Jerez and a fourth place at Le Mans, which weren’t his worst results. At Mugello and Catalunya, Marquez crashed out and scored no points for two consecutive races. While Marquez was struggling, teammate Pedrosa was making his return from his surgery, and finished in third at Catalunya. With the season nearing its halfway mark, it was critical that contenders to the championship up their game against a seemingly unstoppable Lorenzo. It was at this point in the season that Marquez swapped back to the 2014 chassis, in time for the Assen GP. 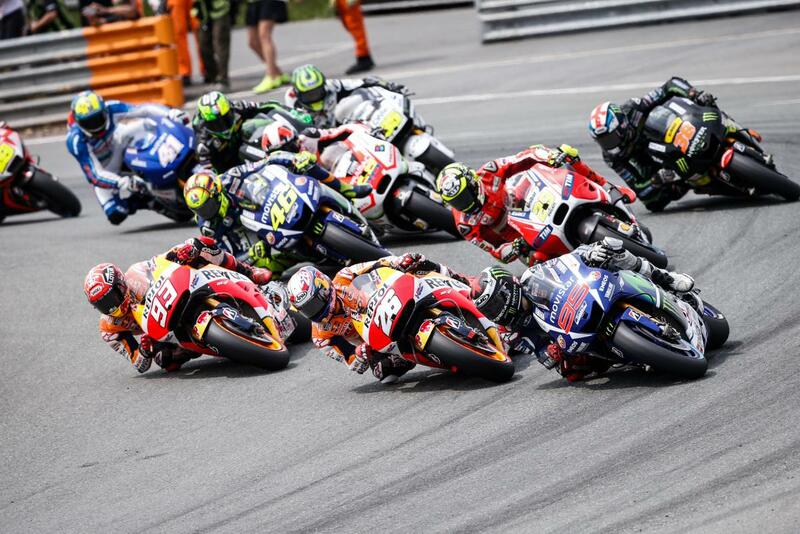 The race in the Netherlands saw a return to the best form of both Rossi and Marquez, leading to a duel that was as exciting as MotoGP can get. The race came down to the last corner of the last lap, with nothing between the two riders. As the last corner approached, Rossi was still ahead of Marquez, and Marquez dived up the inside in a last gasp attempt to gain a victory, but Rossi (who still had the racing line) turned in and clashed with Marquez and was pushed into the gravel, managing to miraculously keep his footing and finishing victorious. Despite the clashes in the past, the two riders had remained friends, with Rossi being Marquez’s long time hero. Yet after the rough clash in Assen, Rossi let it known that he did not find Marquez’s behaviour acceptable, and it seems that the rivalry of the two may be extending from on track to off track as well. Marquez’s alterations seemed to make a world of difference, and at the German GP at Sachsenring, he made it the top step of the podium once again. Pedrosa finished in second to make it the first impressive performance from the Repsol Honda team this season. Ducati have since been hampered with problems as Iannone picked up a shoulder injury after a crash in practice at the French GP. Furthermore, they have struggled to keep with their Japanese rivals as the circuits have become tighter, with shorter straights which disadvantage the Italian brand. With nine races down and nine to go, the championship is still wide open. Marquez will have to have pull up his socks if he plans to reap in his third championship. 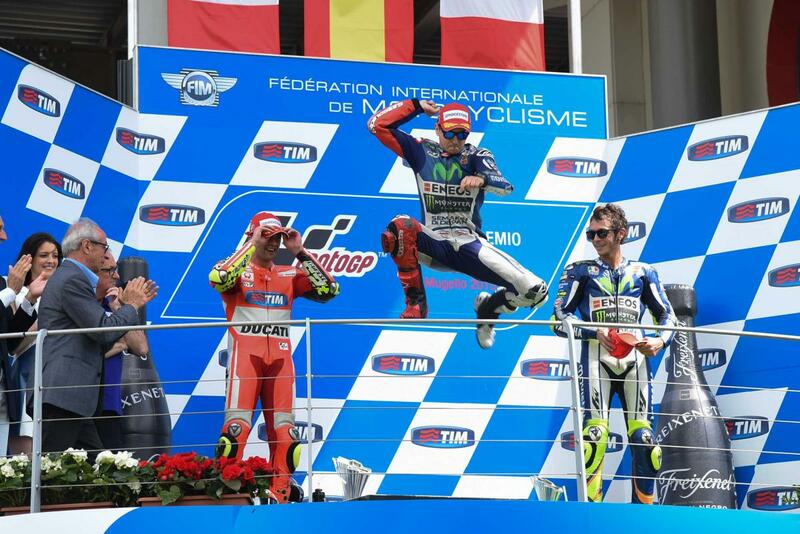 Lorenzo, meanwhile, is within spitting distance of Rossi and has shown how capable he is of winning. The Doctor, however has shown pace and consistency this season and it is becoming hard to see how he could do anything but further his advantage over the rest of the field. Will Marquez be able to retain the championship in 2015? Does the old dog have a new trick up his sleeve? Every day should be No Day to Die.